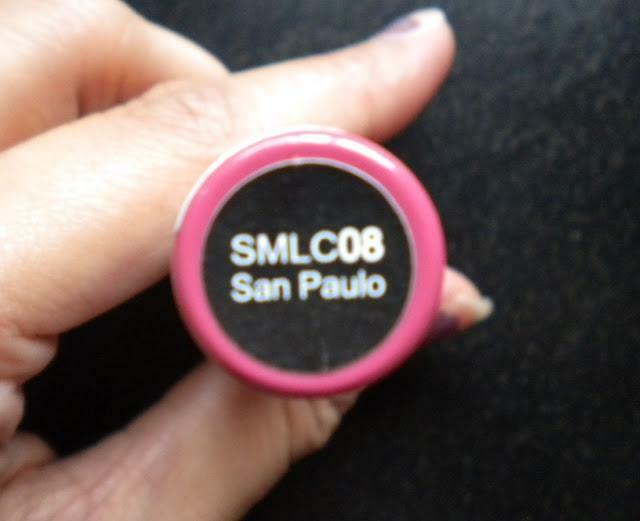 NYX LIP CREAM SAN PAULO REVIEWHello everyone! My first product review on my blog! Let me confess that I am a lipstick addict! Yeah I love lipsticks, lipglosses and all lip products. 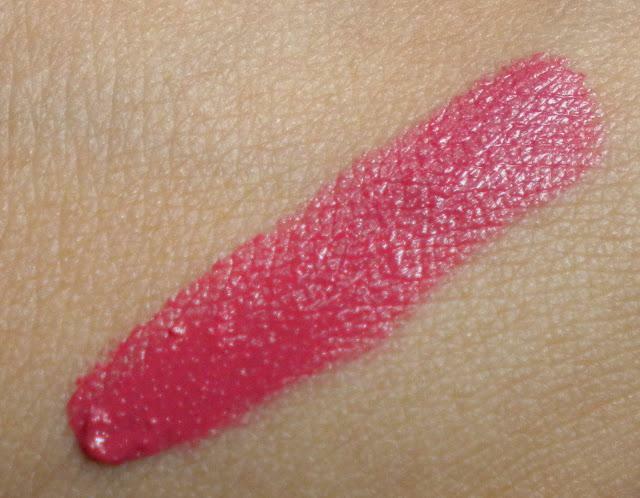 Now coming to the review, I had hauled a few NYX products from cherry culture a while back. This lip cream was one of them. Since I got it long back, I forgot the price. But I will update the price for which it is available in India. The packaging is really cute with a matte black screw type cap and the tube is in the color of the lip cream. Also it is very compact to carry in one's purse and travel friendly. 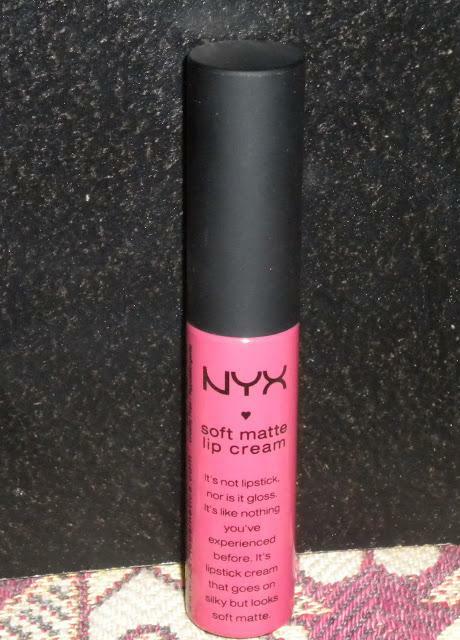 NYX SAYS: It is not lipstick nor is it gloss. Its like nothing you have experienced before. Its lipstick cream that goes on silky but looks soft matte. My experience with it: This shade was a guess work. I searched on the net for swatches, but they were not clear. So I went ahead with this shade and am glad I got this! This is a blue based bright pink, which instantly brightens my face. As claimed, it goes smooth on my lips. The wand is a doe foot one which makes application easy, especially in the corner of my lips. 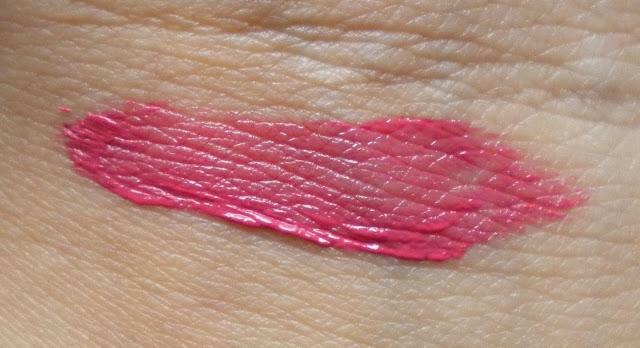 This cream is extremely pigmented and covers the pigmentations in lips in one swipe! My upper lips are a little darker than the lower lips, and this cream covers this unevenness in an amazing manner. On applying this cream, my lips feel moisturized for about an hour, but later it dries my lips. 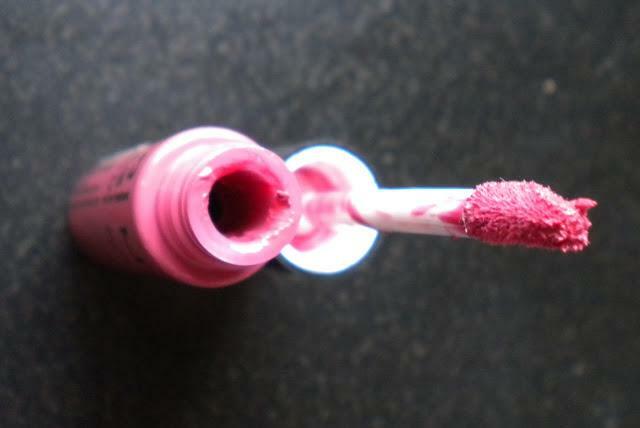 Though it goes on creamy on lips, it gives a wonderful matte finish after a few minutes. 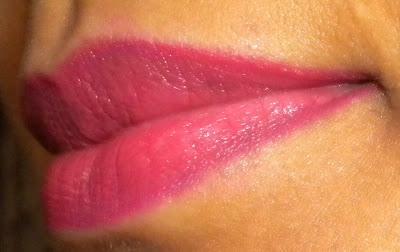 Am posting my lip swatch for the first time (sorry about the yellow light). Please tell me your suggestions on this one! Price: Rs.750 is the MRP, but Rs.563 @ stylecraze and Rs.600 @ urbantouch.Also if the lips are not exfoliated, this cream accentuates the dryness. So it is mandatory for the lips to be soft and supple before applying this cream. And to avoid the dryness, a lip balm might fix it! Now a quick look on the plus and minus of this lip cream. The good:1. Great pigmentation.2. Covers the lip pigmentation in one swipe.3. Hides the unevenness of lips.4. Creamy and glides on lips.5. Sets into a matte finish in a few minutes.6. Stays on for 5 to 6 hours. The not so good:1. Lips need to be exfoliated before using this lip cream. If not, it accentuates the dryness and lines.2. 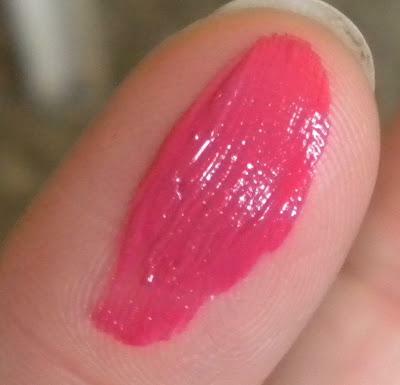 It dries out the lips after a few minutes of application.3. Expensive if bought in India, but cheaper if bought from international websites. Final word: I will give this 3.8 on 5 for the dryness it causes. 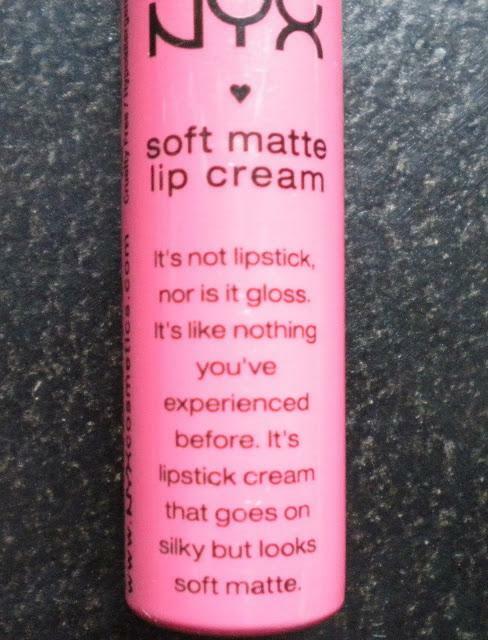 Otherwise it is great lip cream! Hope you enjoyed the post. Please drop your queries and feed back in the comments section. I would love to hear from you!